What is the place of origin of TI students? How long does it take before students graduate from the TI Research Master program? 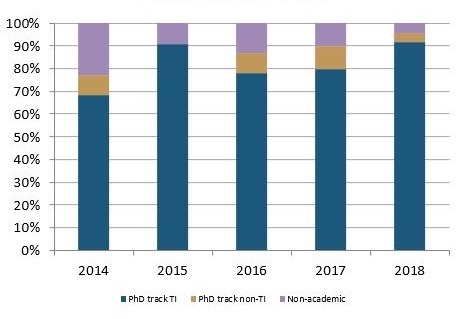 How many graduates continue in a PhD track? Here we present everything you always wanted to know about TI Research Master students. 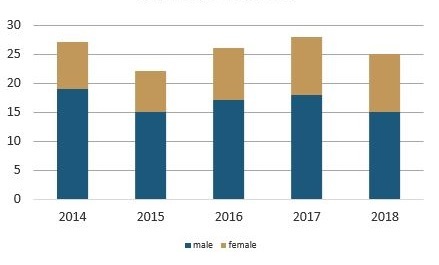 Female students represent one-third of students. TI strives to increase the number of female students and encourages women to apply to the program. Studying at TI is an international experience. In your class you will meet students from all continents. 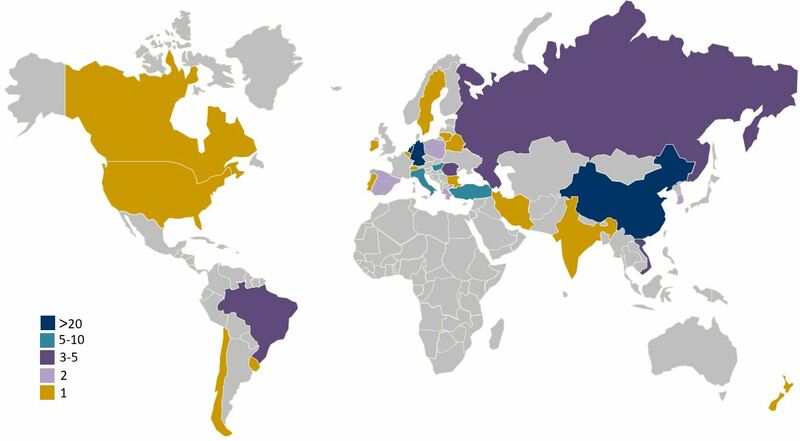 The map below indicates the places of origin of TI’s Research Master students over the years 2013-2018. The key on the left indicates the number of students from each country during this period of time. Tinbergen Institute carefully selects students during the admissions process. As a consequence, the drop-out rate during the program is very low, typically below 10%. The average duration until the date of the thesis defense, the final examination of the program, is just over 24 months. Some students have a small delay and defend their thesis in September/October. With what academic background do students enter the program? For admission to the TI program, a bachelor degree is required. However, many students enter the program already holding a master degree (MSc, one-year master program). 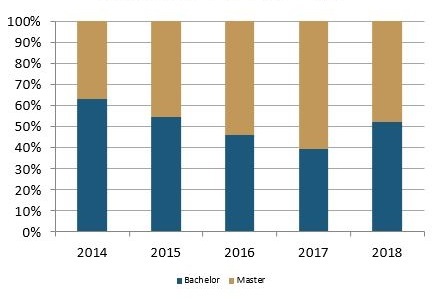 Almost 90% of the students have a background in economics; others are trained in computer sciences or mathematics, for example, or have completed a liberal arts and sciences bachelor program at one of the Dutch University Colleges. What do TI students do after completion of the research master program? The TI program is the entry point to PhD positions at the economics and business faculties at EUR, UvA and VU; the vast majority of the TI students transfer to PhD positions at these departments. A minority chooses not to continue their education or transfers to another PhD program. The three TI faculties cover all fields of economics, econometrics and finance and give students a wide choice of subjects and supervisors. During the program, students meet potential PhD supervisors as lecturers in courses, during formal meetings where researchers present their research groups, and during the many seminars and conferences organized on TI’s premises.